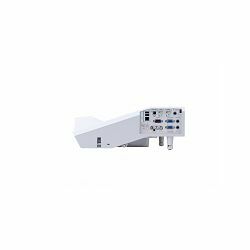 CP-AW3506 3700-Lumen WXGA Ultra Short-ThroW 3LCD projektor kompanije Hitachi može projektovati do 100 incha slike sa odnosom ultra-kratkog bacanja od 0.2: 1 od ivice projektora do ekrana i ultrazvukom od 0.3: 1, koeficijent kratkog bacanja sa poklopca ogledala na ekran, proizvodi bolju boj i bele boje od 3700 l uz kontrast od 20,000: 1 Ovaj model ima i rezoluciju WXGA 1280 k 800 i pokrec´e ga 3 cip 3LCD sistem. Lampa ima dug životni vek do 6.000 sati u režimu Eco-2 i 4000 sati u standardnom režimu rada. 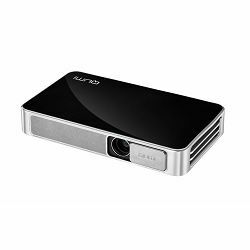 Hitachi CP-AW3506 nudi razne moguc´nosti povezivanja ukljucujuc´i kompozitni video, komponentni video, VGA, USB i HDMI ulaze, omoguc´avajuc´i vam da povežete izvore kao što su racunari, Blu-ray plejeri i streaming uredaji. Jedan od VGA ulaza pogodno se udvostrucuje kao VGA izlaz. Njen USB interfejs podržava multimedijalne veze bez racunara i podršku za slajdove. Interfejsi RS-232C i Ethernet su takode na uredjaju. Ostale karakteristike ukljucuju ugradeni zvucnik od 16W za audio reprodukciju i ulazni prikljucak za mikrofon. 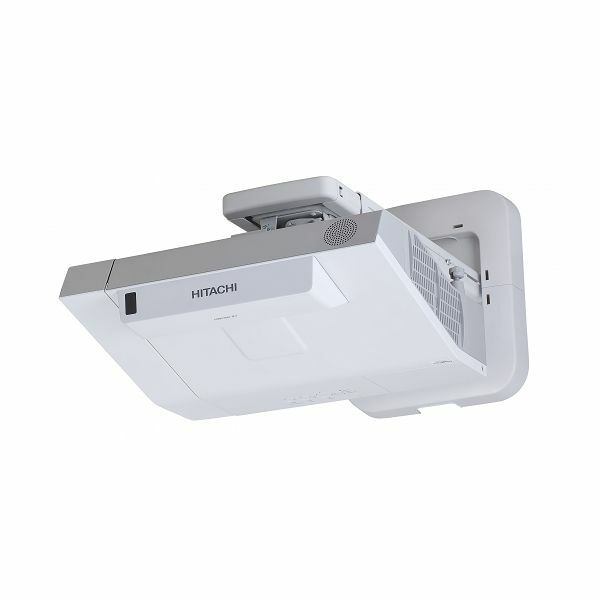 Accentualizer This Hitachi technology enhances image sharpness, gloss, and shade to produce flat panel rivaling images. You can also adjust the effects by three levels according to your surroundings so that colors of projected images are the actual colors of the objects they represent. HDCR2 (High Dynamic Contrast Range) When typical projectors are used in bright rooms, the darker colors of an image can deteriorate and images can become unclear. Using this function, blurred images caused by room lighting or outside light sources are corrected, and an effect similar to increasing contrast occurs. The result is a clear image, even in bright rooms. Cloning Function Copy configuration settings from one projector to others of the same model via USB memory. Cloning can save almost all PJ settings, such as gamma and keystone, via USB memory. 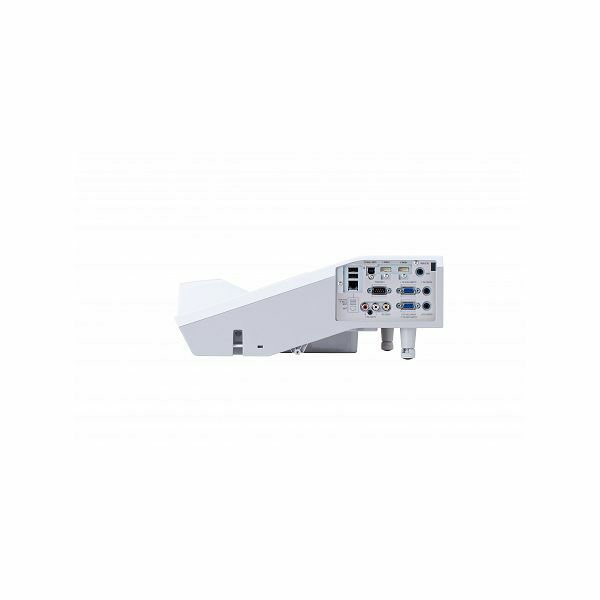 ImageCare Technology ImageCare is a lamp power control function that combines optimal picture performance with maximum energy savings by decreasing energy usage, improving contrast ratio, and lengthening lamp life. Intelligent Eco and Saver Modes Automatically changes the brightness of the lamp according to the brightness level of the screen. It also automatically changes the brightness of the lamp if there is no change in the screen image. Using ImageCare technology, these features give optimal picture performance with maximum energy savings. Perfect Fit 2 Enables the user to adjust individual corners and sides independent of one another. Perfect Fit 2 provides vertical and horizontal digital correction of either barrel or pincushion distortions. This feature helps correct geometric and complicated distortions. 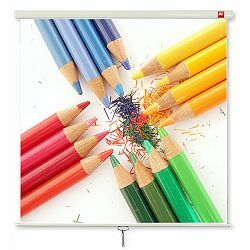 Perfect Fit 2 allows the projected image to fit correctly to the screen quickly and easily. Projector Quick Connection App For Mobile Devices The app is available for iPad, iPhone, and Android devices and offers full projector control while providing the capability to display photos, document files, and website content. This functionality works over your LAN via your RJ45 port or via an optional USBWL11N wireless adapter. 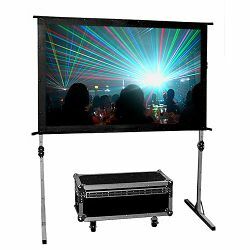 Tabletop Presentation Make any tabletop a projection screen using the optional tabletop stand. 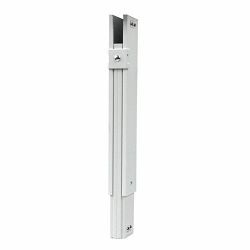 This accessory is suitable for a small group environment or in a room with limited space. Input Source Naming Users can rename input sources in more descriptive terms instead of the factory default names. Microphone Input A microphone can be used via the jack located on the input panel. This allows for more dynamic presentations, even in standby mode. Network Control, Maintenance, and Security Embedded networking gives you the ability to manage and control multiple projectors over your LAN connection. Features include scheduling of events, centralized reporting, image transfer, and e-mail alerts for reactive and routine maintenance. 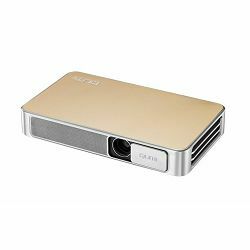 PC-Less Presentation By using a USB memory stick or other storage device, you can use the projector without a computer. Menus are easy to see with a thumbnail display. There is also a slideshow function. PIN Lock / MyScreen / MyText PIN lock protection can limit projector users, offering enhanced security. MyScreen PIN lock keeps captured images on the startup screen. Users can set any name logo to MyScreen, clearly identifying ownership. MyText provides the ability to write text on the startup screen, such as model name, serial number, or location. PJMessenger The PJMessenger function allows you to send and display text messages and audio alerts on your networked projectors. It is an easy and efficient way to send announcements out to multiple units. 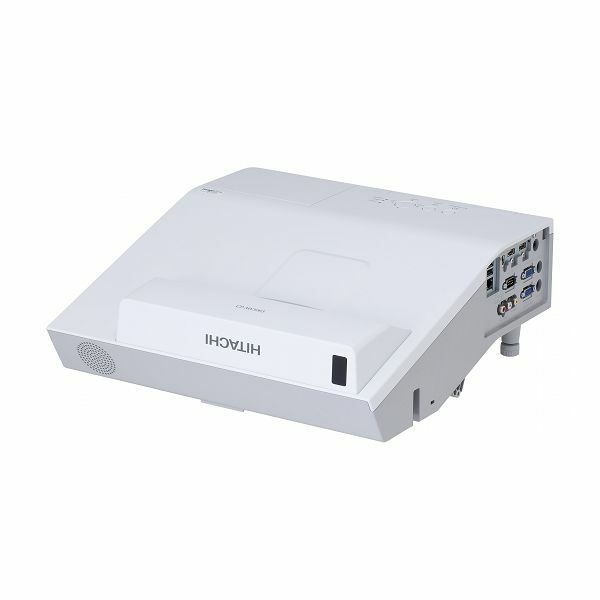 Present Content via LAN Hitachi's suite of networking software allows you send content directly from your PC to the projector via your LAN connection. Template Function Line templates in the projector menu can help when writing on a whiteboard. There are four types of line templates from which to choose. 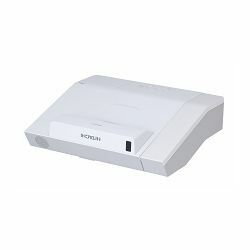 Wireless Presentation Compatible Connect the projector to a computer or your network using the optional USB wireless adapter (USBWL11N). The adapter supports high-speed IEEE 802.11n connectivity.